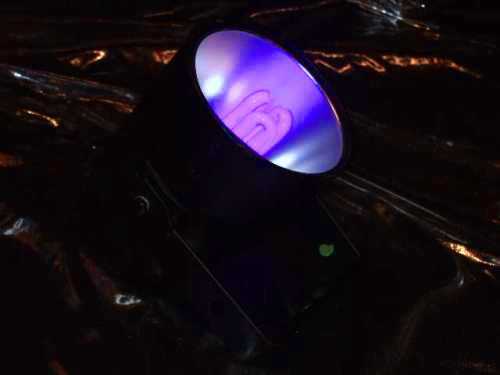 We have 4 different types of UV Lights available, though we recommend the 1st two below for most applications. Usually UV Lights are mounted in the ceiling, the Spot light and the Strip light are ideal between 1m and 3m away from the Backdrop(s). 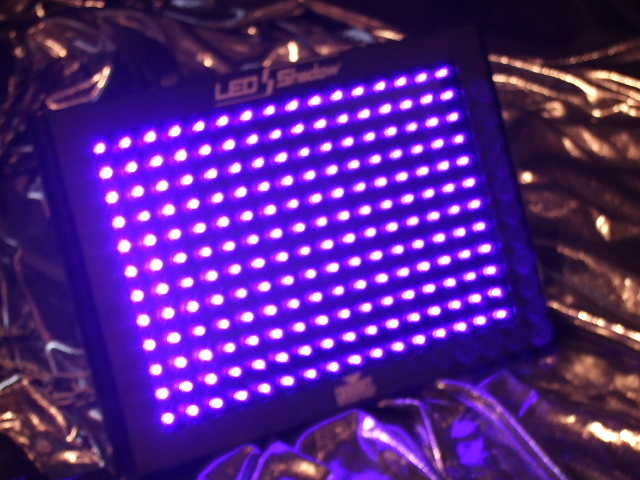 The LED panel is best between 4.5m and 9m from Backdrop(s). UV Cannons are for large venues and will illumine whole walls up to 10m wide. but with a narrower coverage, illumines a 3m SQ from 4.5m away, up to 6m SQ from 9m away. in sync with each other in 'sound to light' mode. or a wall up to 5m wide from 2m - 3m away, or even a whole room up to 6m SQ (with the mirror off). The mirror shield can be used to conceal the light and direct it to the desired wall only. illumine a whole wall up to 10m wide from a distance of about 7m, downside is it's big n heavy.